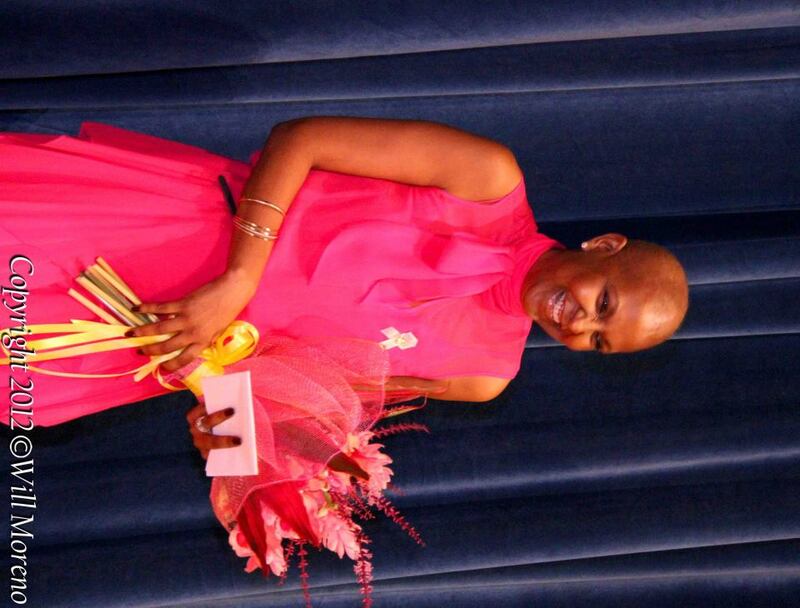 In pursuit of her continual advocacy for women and children and breast cancer awareness, Ms. Simplis Barrow attended the “Let's Talk Cancer” event last Thursday night, February 2, at the Bliss. It is her hope that more people will become aware of the prevention and treatment of cancer. Many of us facing such changes in our life would panic, become depressed, and eventually give up. But here you have Mrs. Simplis Barrow beaming with the most radiant smiles and looking as healthy as ever. She is an excellent example of health benefits through smiles and laughter. A good doctor once told me that laughter and humor in your everyday life can bring you joy and empower you to a positive outcome. Our life is full of choices and challenges, but here we see Mrs. Barrow choosing to meet her challenges head-on through laughter and smiles. To quote Mark Twain, "The human race has one really effective weapon, and that is laughter." Despite the debilitating effects of her treatment, she still manages to remain savvy and active in the face of adversity. Simply inspiring! Let us continue to keep her in our prayers. Every time I see you smiling you light up my life. Keep on fighting; keep on smiling,you are always in my prayers. God bless you always ,BELIZE FIRST LADY!! You are a true symbol of what a woman should be. god's blessings! We are praying for you Kim, may G-d grant you strength to endure your treatment. Kim good luck on your treatment. You are beautiful and filled with courage. A Champion is what you are!! !